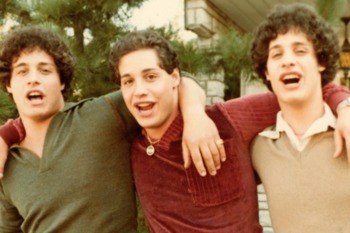 A new documentary, “Three Identical Strangers,” tells the remarkable true story of adoption in America. Bobby Shafran went off to college only to learn that his classmates knew him already, by the name of Eddie Galland. Shafran discovers that he has a twin brother he never knew about; if that wasn’t spectacular enough, it turns out that Bobby and Eddie had another brother. This documentary is an unbelievable story about Triplets separated and adopted at birth. The film premiered at Sundance earlier this year. Triad Family Services can help you or a loved one navigate the adoption or foster care process. This story about adoption very not usual but it's so fascinating when I'm reading like these articles. Thank you for sharing this!